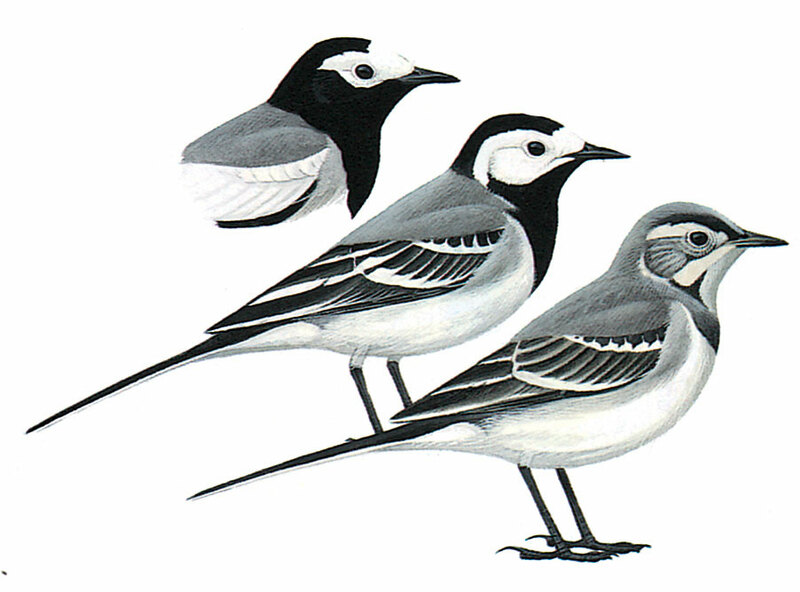 Easily told from other wagtails by grey, black and white plumage, with grey back contrasting with black nape (male) or crown (female), white face and ear-coverts contrasting sharply with black throat and breast. Juvenile, and especially winter birds, have whitish underparts broken by black breast band. NE Iranian race, personata, has black of head and breast merging at sides of neck and ear-coverts, leaving smaller white area around face; white edges on wing-coverts, tertials and secondaries much broader than in ‘European birds’. Flight undulating.